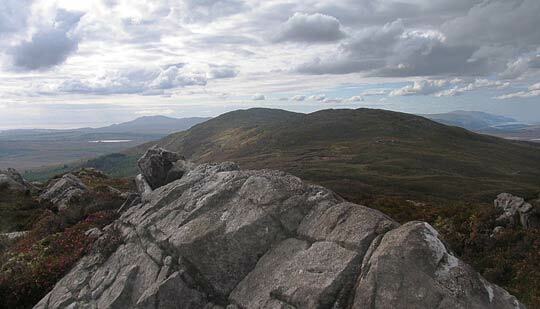 Cloghmeen Hill is the 805th highest place in Ireland. Gives access to a splendid ridge. Picture from simon3 : View west along the ridge. Picture: View west along the ridge. 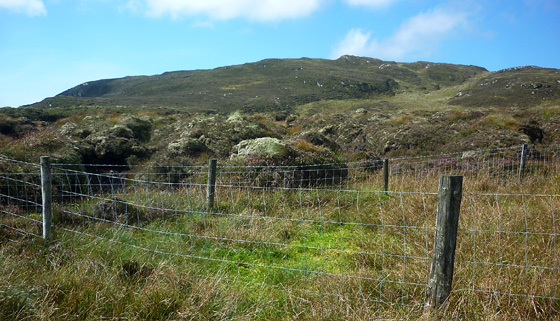 The summit is a further bump on the ridge from the aesthetic Binbane to the start of the Bluestacks proper at Carnaween. Looking west along the ridge the two summits of Binn Bhán NE Top (to the right) and Binn Bhán (Binbane) are shown in all their rounded, peat covered glory.